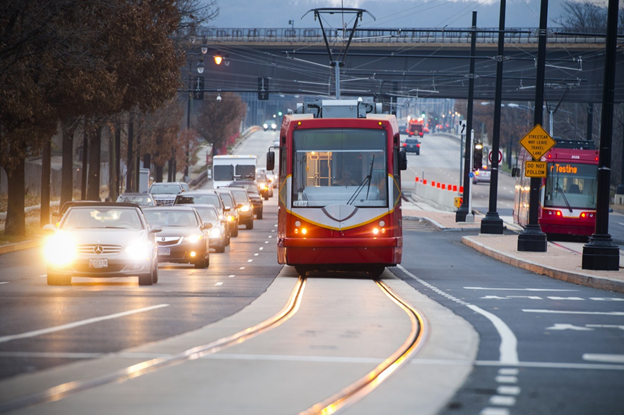 The District Department of Transportation (DDOT) has been implementing a program to expand streetcar routes within the District of Columbia (The District). Approximately 37 miles of streetcar lines are planned, with the intention to serve all eight (8) wards and provide connectivity to other transit facilities including Washington Metropolitan Area Transit Authority Metro stations and Union Station, which serves Amtrak and MARC Train Service. The purpose of the program is to: provide an additional transit option for residents and visitors, promote more sustainable travel practices, improve access to employment, connect neighborhoods and commercial corridors, and encourage economic development. FMC & Associates teaming up with DMY Engineering Consultants has been performing Material Testings and Construction Inspection.